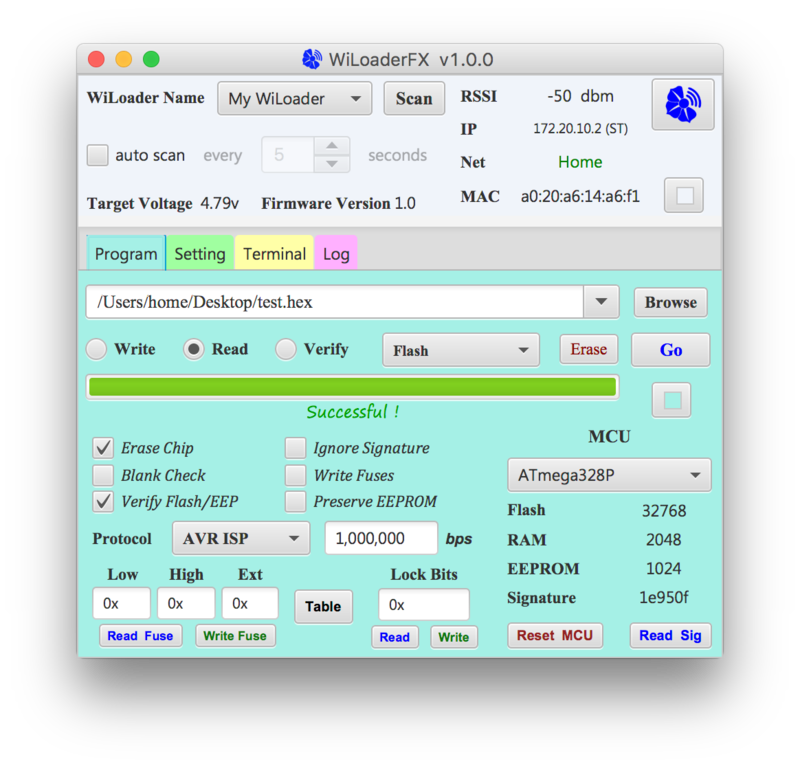 WiLoaderFX is a cross-platform software designed for WiLoader. 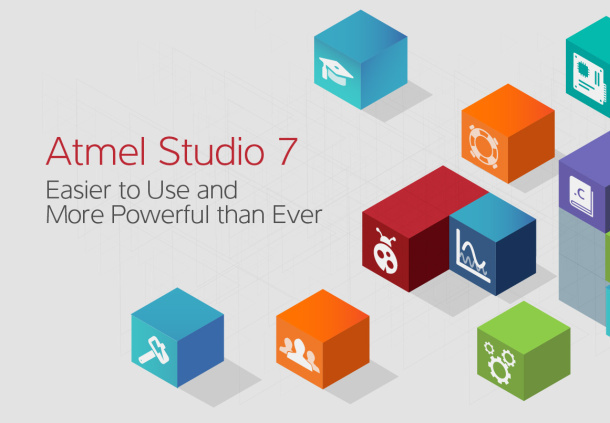 It enables developers to program and communicate with MCUs over WiFi. It’s also lets users change WiLoaders parameters and settings. WiLoader is designed to fit on Arduino boards perfectly, so there is no need for any kind of cables or jumpers to connect WiLoader to the ICSP programming pins. Putting them together is really easy and straightforward, you just have to align the ICSP header and its counter parts on WiLoader. 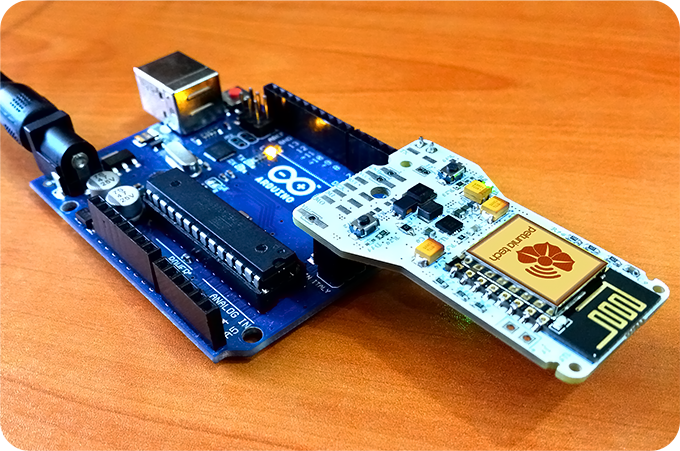 WiLoader is capable of a lot more than only programming Arduino. 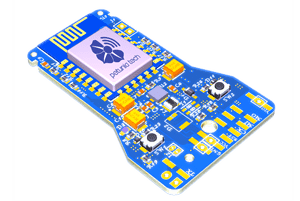 You can use its WiFi-UART bridge for creating startling projects. In order to use all of its capabilities WiLoader connects to Rx/Tx pins (UART pins) on Arduino too. You don’t need wires or jumpers to couple its UART pin; when you put WiLoader on ICSP headers its serial pins will fit Arduino Rx/Tx pins without needing any further attention or care. Further more, since you might want to use shields with Arduino, WiLoader comes with extension headers for them too. You can enjoy working with any shield compatible with your board without any hassle. So in short, WiLoader is designed in a way that you can enjoy Arduino and its shields even more. 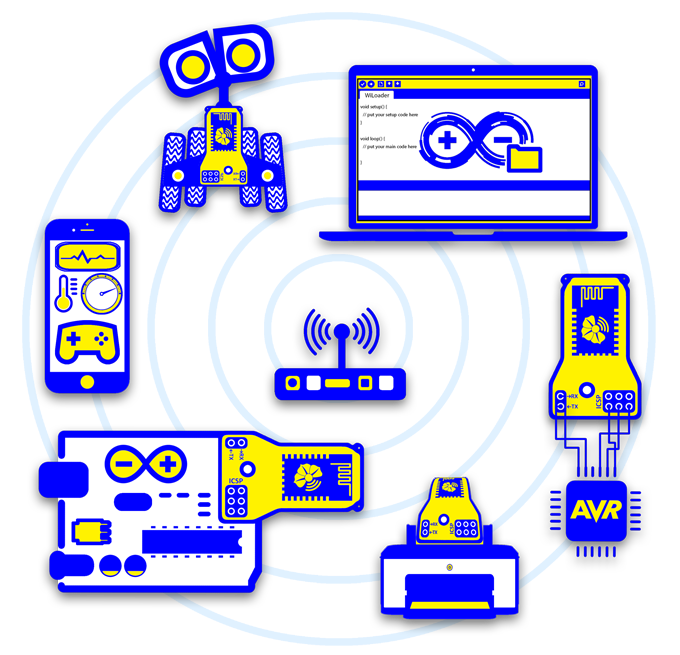 Not only for Arduino, But also for AVRs ! 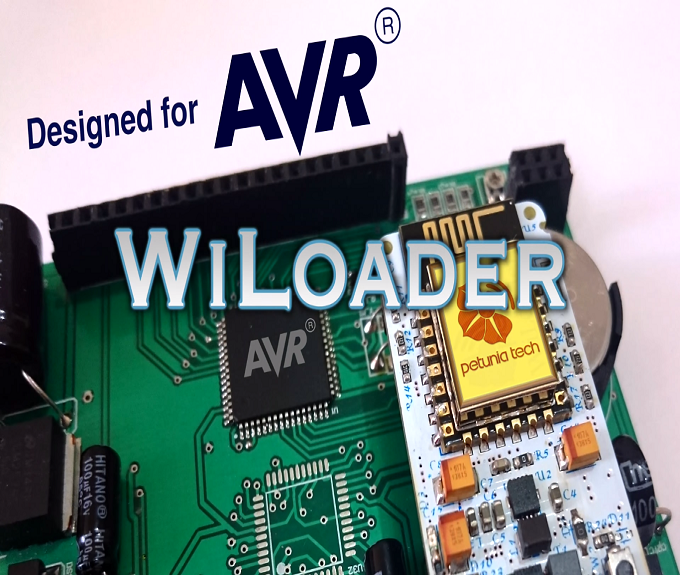 WiLoader is capable of programming AVR MCUs (ATMega & ATTiny series) via AVRISP protocol through standard 6-pin ICSP connector. 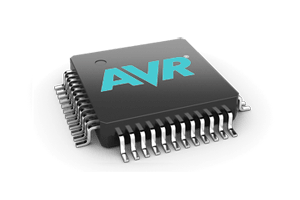 So it’s suitable choice for those who are looking for standard AVR programmer to program AVR chips or Arduino bootloader. Embedded inside Arduino IDE ! WiLoader is easy to set up, use and control. 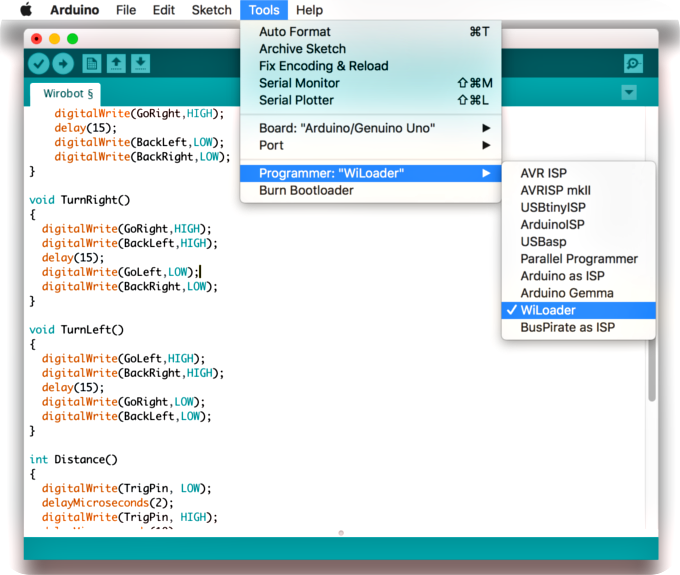 Since Arduino is an open source software and also has a lot of cool features and rich libraries , we implemented a software patch for Arduino IDE that lets it support and handle all WiLoader capabilities. WiLoader can be chosen like any other programmers inside the Tools menu. It is compatible with all operating systems and it performs flawlessly no matter the circumstance. WiLoader has a WiFi-UART bridge called WiCOM. You can send and receive serial data over WiFi by connecting WiLoader dedicated serial pins to AVR UART pins(RX, TX). It’s just like any other COM ports that Arduino serial monitor uses for communicating with or debugging your projects. AVR & Smart Phones ! Nowadays smartphones have become an important and fun part of our lives. Therefor we thought why not connect WiLoader to them as well ?! With this connection not only you can set up WiLoader but also you are able to chat with your device via its app. WiLoader app is developed for both iOS and Android phones. We will release mobile apps source codes, In order to make it simpler for you to create custom apps . So enjoy this smartphone connection and create anything you want. It is going to be an amazing journey. WiFi Access Point or Client ! 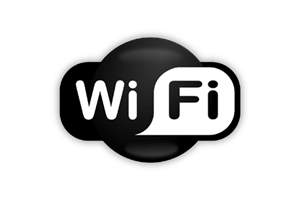 WiLoader uses WiFi for connection to computers, smartphone and other devices. It can connect to any existing network with just a few simple steps. So, WiLoader doesn’t stop you from using the internet or anything connected to your network. Also, even if you don’t have a WiFi network or for some reason you need another network for WiLoader, it is capable of creating one for you. You can rename its network and set its password. No matter what the situation is, WiLoader is ready to go. Robotics just got a lot easier ! WiLoader is a really good and wise choice when you are working with robots or any kind of portable devices . 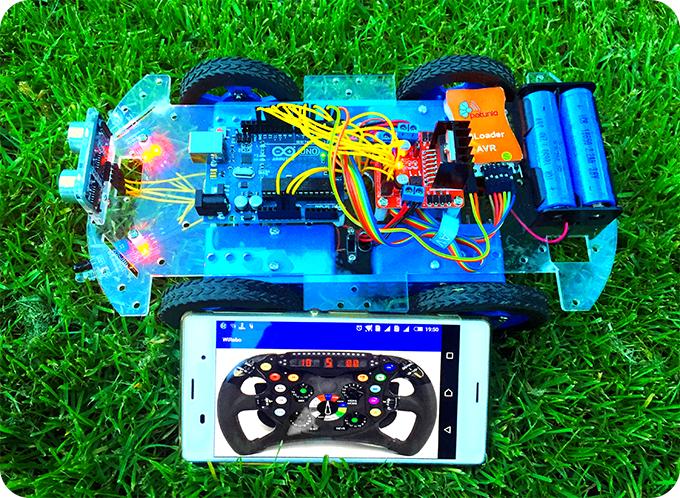 It can program your boards on the go without stoping and connecting it to a computer every time.You can even create a customized app for PC or Phones to control your robots by sending commands over WiFi. Also this WiFi-UART Bridge can be used to monitor robot status and sensor values. So robotic fans are in for a treat.